Captain America: Civil War may have been one of Marvel Studios’ top project that was well received by both the critics and the public, but it doesn’t mean that it captured everyone’s good graces. 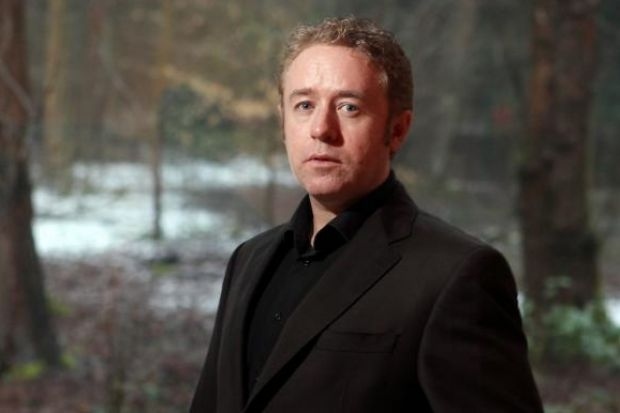 Mark Millar is a titan in the comic book industry and the main reason why Marvel had the Civil War in the comics in the first place. He released some statements on his blog regarding the final film product, and it looks like he wasn’t all that impressed with it. Civil War had a good opening twenty mins, but then I honestly can’t remember what the movie was about. It’s interesting the Russos have a background in comedy because it’s really missing in these otherwise well-made pictures and very, very missed. I really hope this bleakness doesn’t extend into their two Avengers pictures because what made that first Avengers work was the light as well as shade and I’ll be sad if that’s all lost like it was in this picture. I would agree to an extent since Civil War was his baby to begin with. However, the Russos had to work with what they were given. Civil War in the comic books was much more spread out and had hundreds of Marvel’s characters to utilize. I will say that there didn’t seem to be anything at stake since no one really dies in the movie, which is a complete contrast to the comic book where there were many deaths during the series’ run. He also spoke his mind about the other Marvel franchise movies that were released that didn’t belong to Marvel Studios. It looks like he did like the movie adaption of Deadpool with which I agree with him wholeheartedly. Although for X-Men: Apocalypse, I’d probably have to shrug on that call. I liked Deadpool and it had some really nice action sequences, the third act especially impressive give they had about 10p to make this movie. X-Men: Apocalypse was also good. After 16 years and 8 pictures, we’ve seen a lot of these characters, but I’m still invested and after a lot of comic-book flicks that just feel part of a wider, not that interesting story that never ends I kind of liked the sense of completeness this movie had. The Prof X turning on Apocalypse stuff at the end was pretty good and overall it had some good moments. Not up there with DOFP, but still enjoyable. I hope that Mark Millar learns to accept the changes that are being utilized for the upcoming Marvel Studios movies as that’s pretty much the path that it’s taking. Yes, there will always be something funny in the Marvel movies, but I hope it doesn’t devolve to what occurred in Avengers: Age of Ultron. Almost everyone there had to have some sort of a one-liner which made kind of annoyed me. However, I digress, I just hope we keep receiving more great comic book movies for a long time to come.